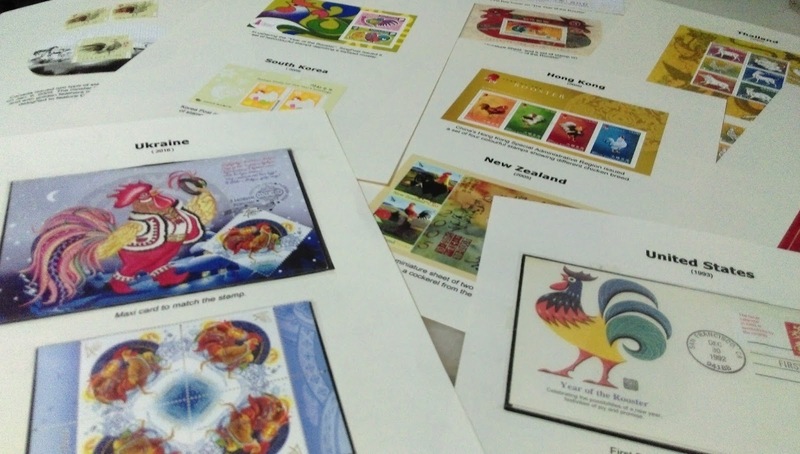 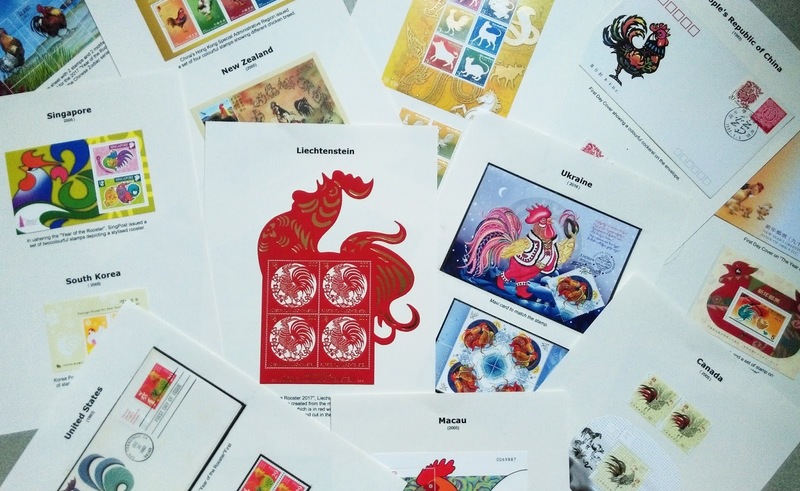 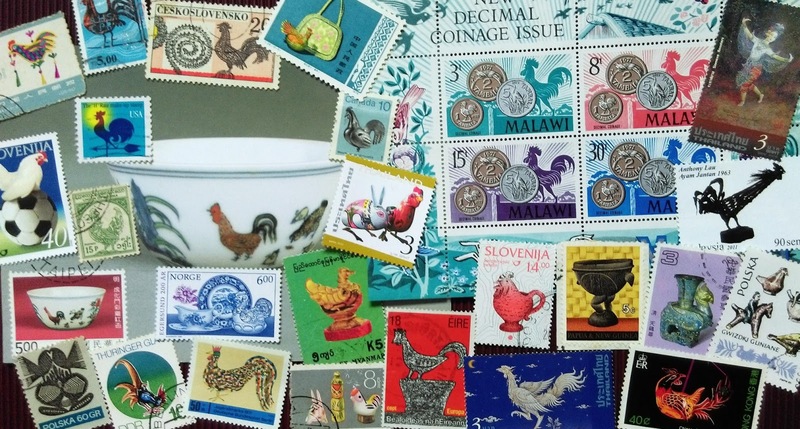 Cockerel Zodiac stamps from A - Z Worldwide countries. 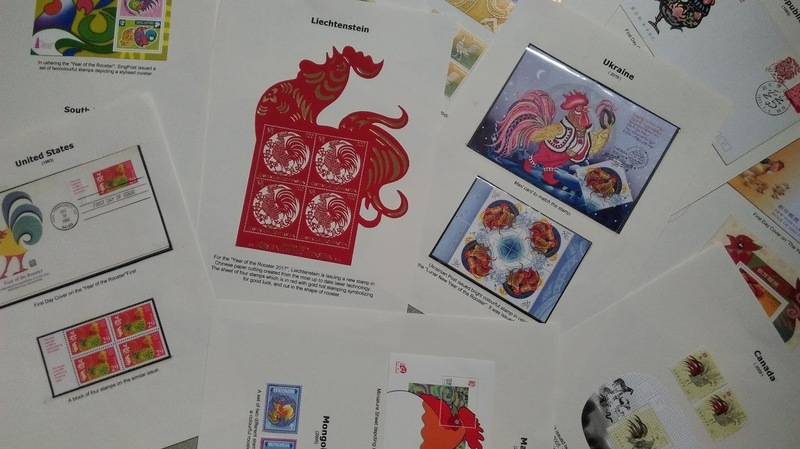 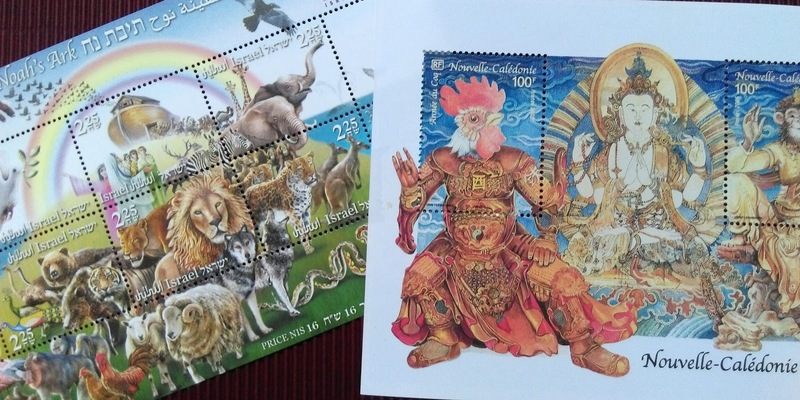 Cockerel Zodiac on stamps part 2. 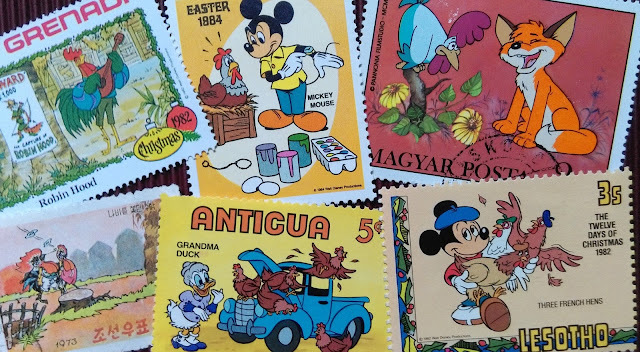 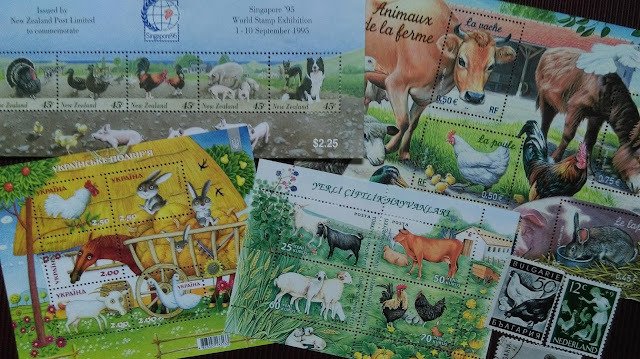 Chicken on Farming Industry on stamps. 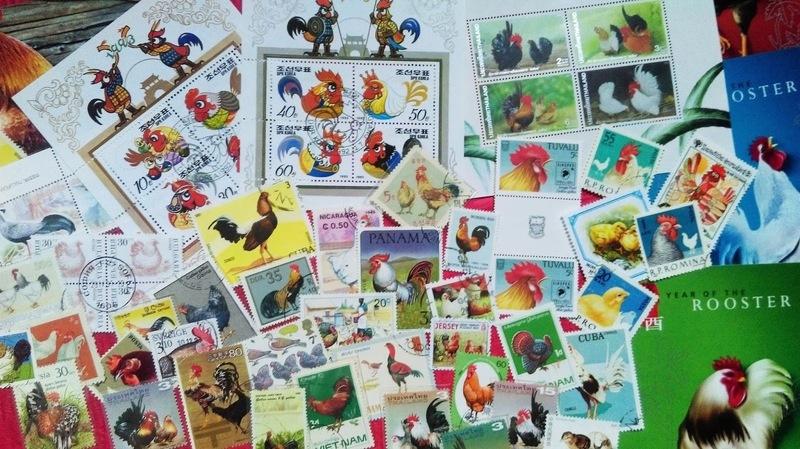 Chicken on Legends and Fabels. 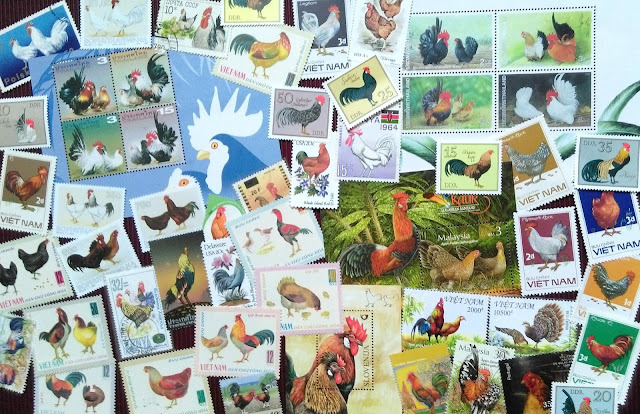 Cockerel can be seen here with famous cartoon characters. 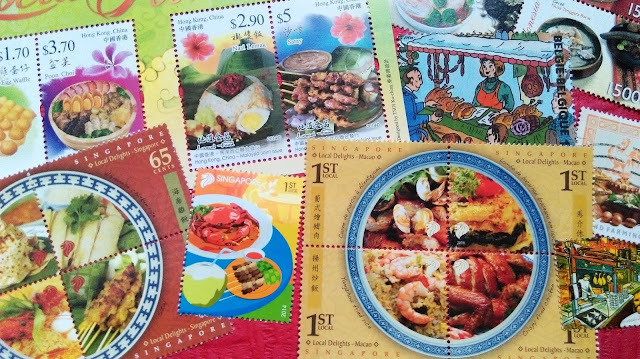 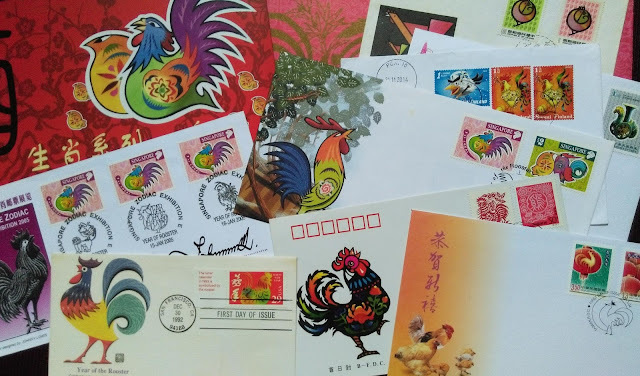 Cockerel Zodiac on different issues of First Day Covers. 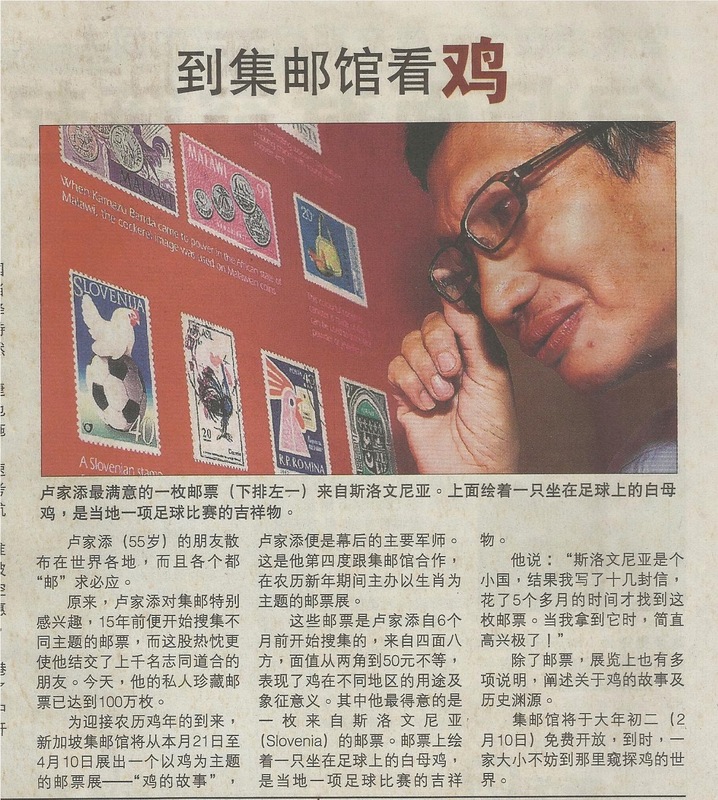 All the stamps are mounted on an A4 size paper with write-up. Pages of information ready for exhibit. 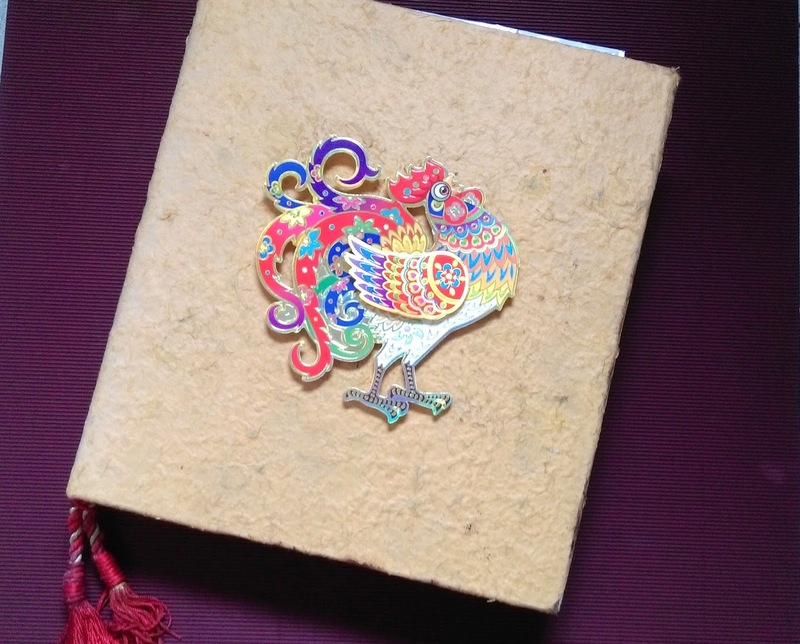 All the pages are housed into this file. Inside of the folder contain hundred of pages. 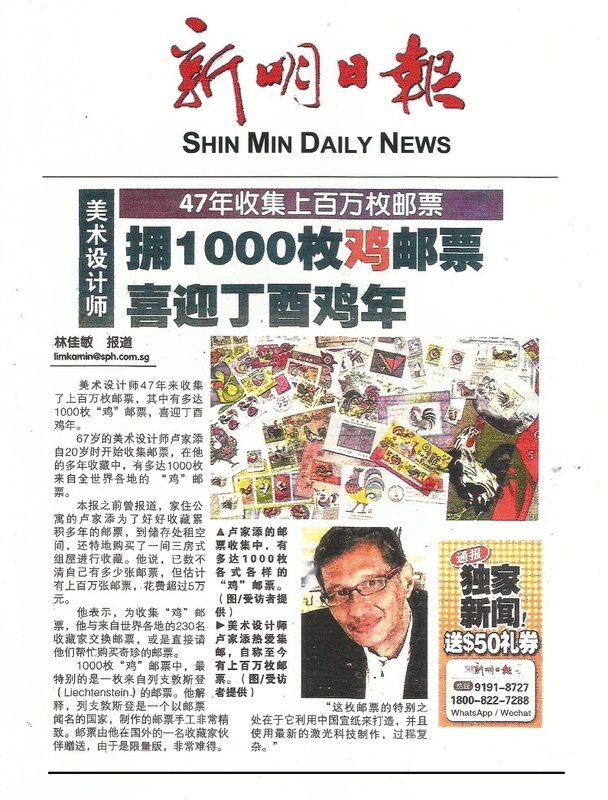 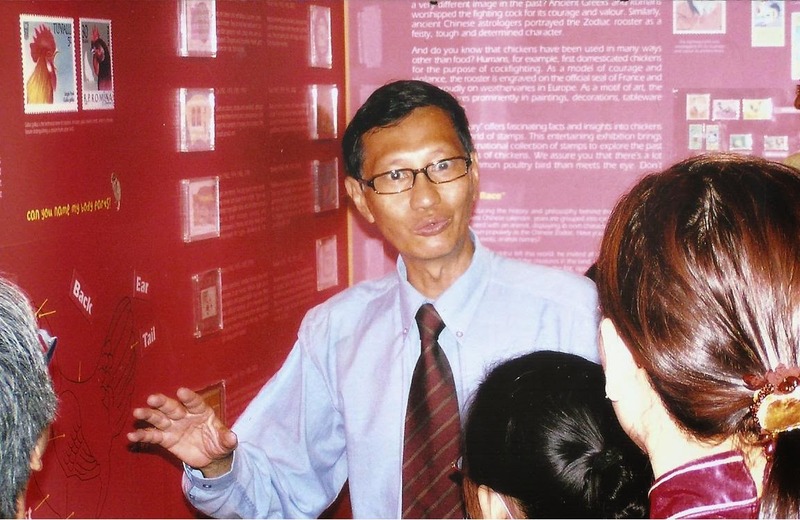 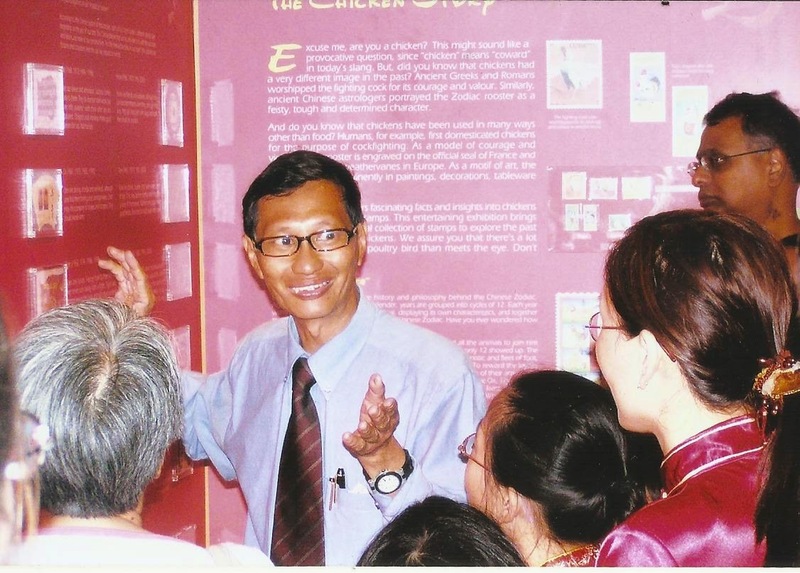 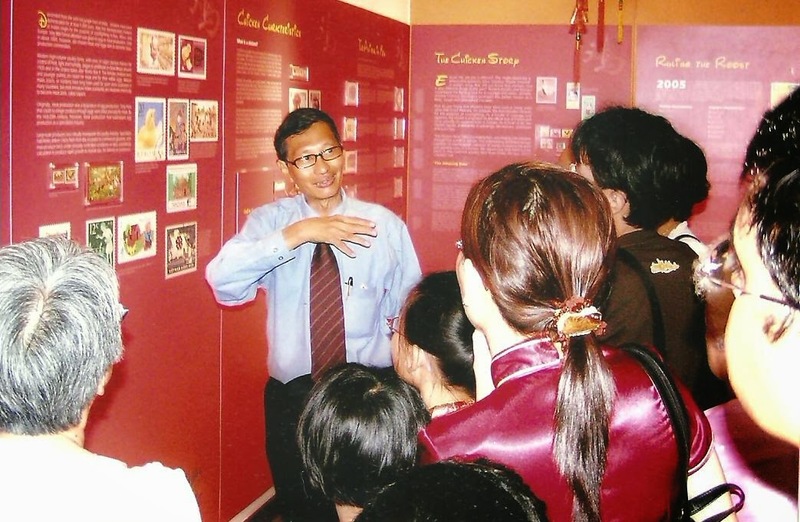 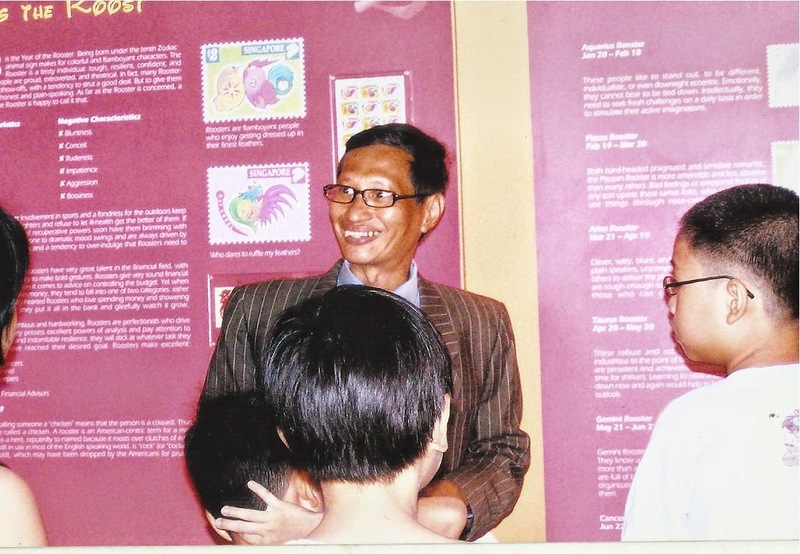 at the Singapore Philatelic Museum. 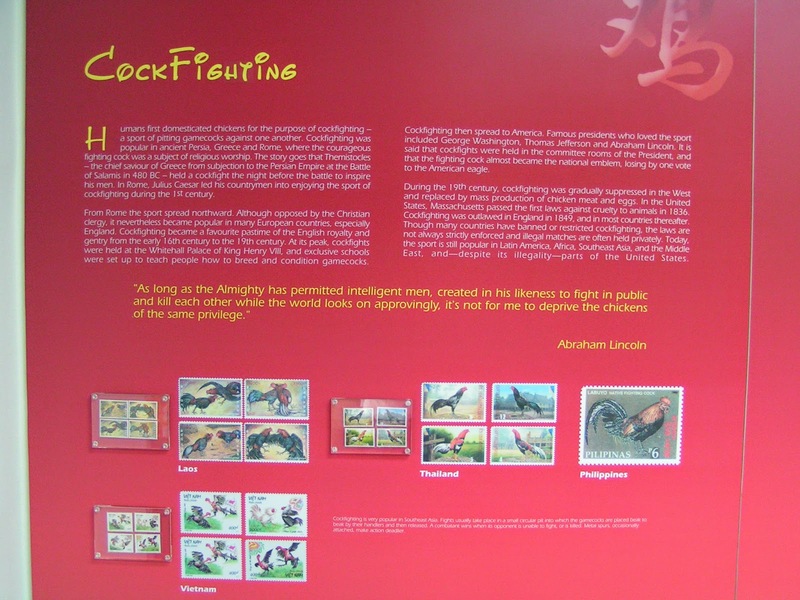 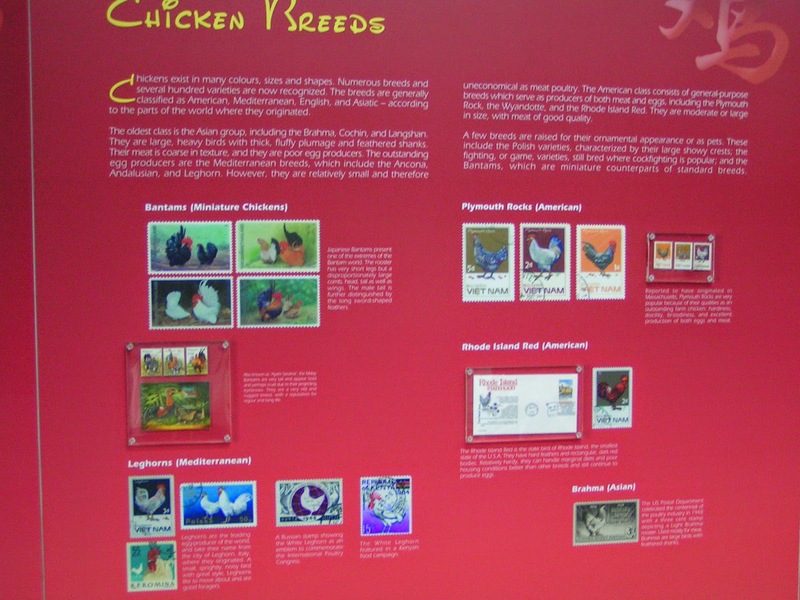 Sample of the exhibit panels. 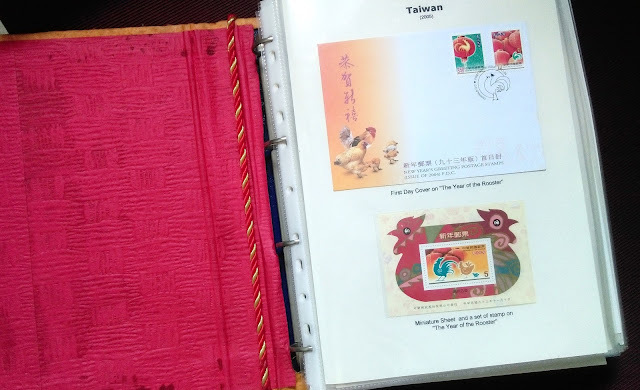 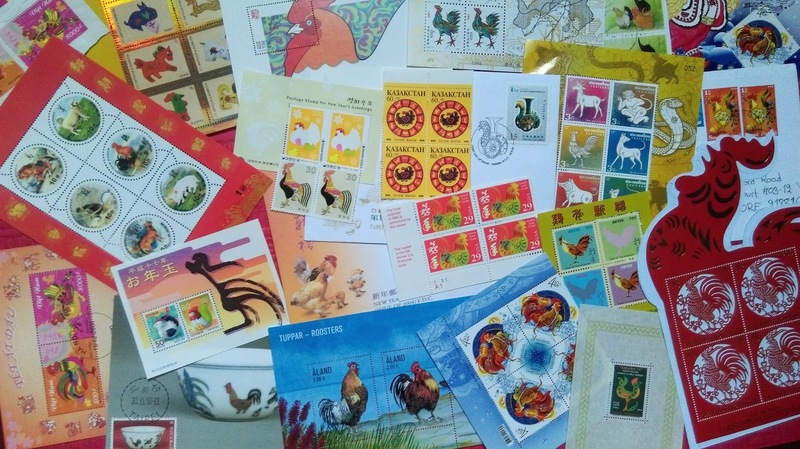 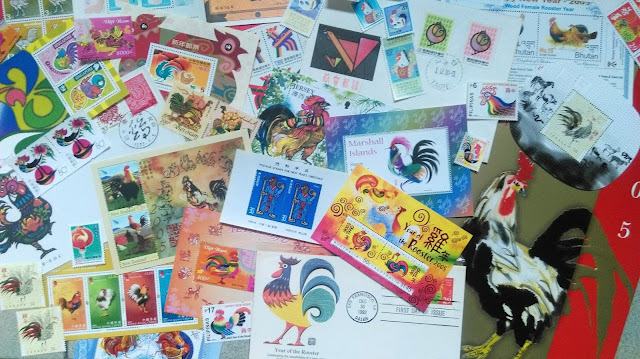 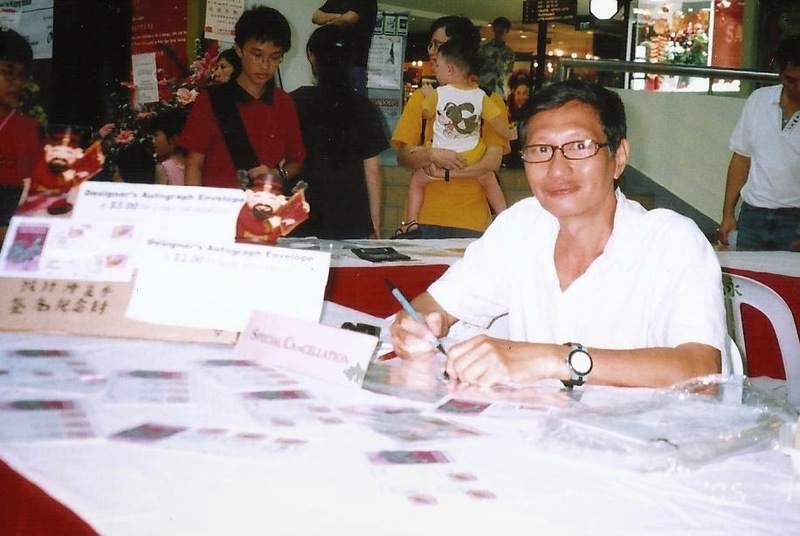 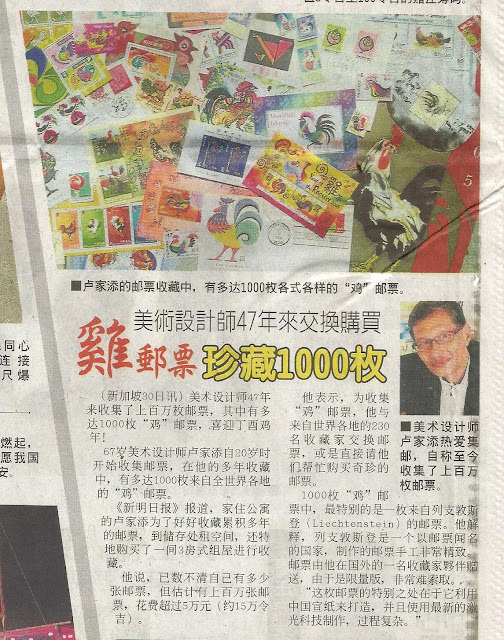 Autographed "Cockerel Zodiac Souvenir Covers"
at ChinaTown Square Stamps Exhibition.